This rooster design measures 5 inches wide by 4 3/4 inches tall.The father rooster is entertaining his little chick on this machine embroidered tea towel. 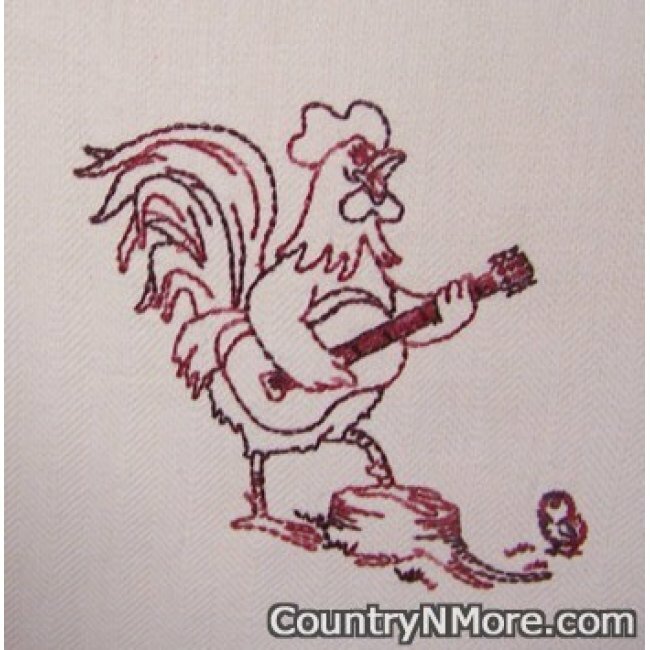 The little chick is listening intently while his father is playing the guitar and singing his favorite song. The Dunroven tea towel is natural in color with burgundy stripes on each of the longer sides of the tea towel. The soft tone of the towel and the soft burgundy tone stripes go so well with the variegated thread used in stitching this design. The design is taken from a vintage embroidery design. Towel measures 20 inches wide by 28 inches long. 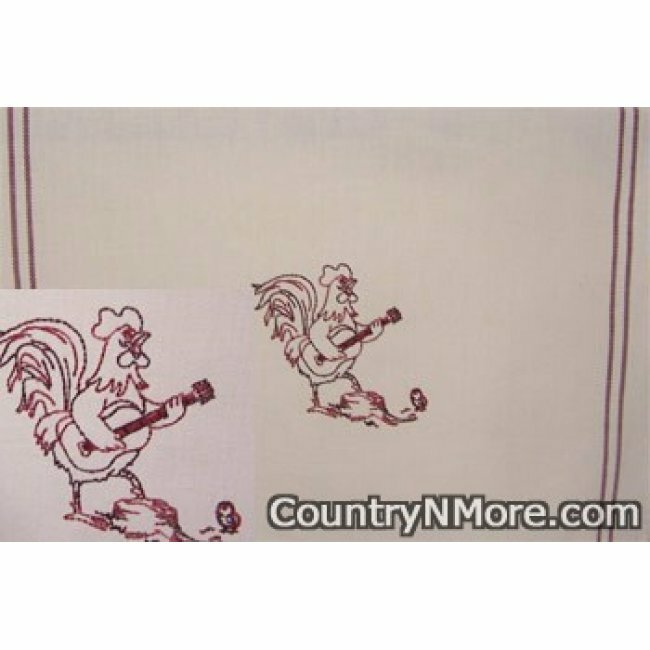 The rooster tea towel is perfect for the country home.